If you’ve read Roy Choi’s cookbook memoir, L.A. Son, you already know a little bit about his mom. Who could forget the image of a young Papi Chulo helping her sell jars of home-made kimchi out of the family car’s trunk? Now, you can get even more familiar with Choi’s childhood food memories by eating his mom’s new line of sauces, appropriately called Mommy Sauce. They currently come in five varieties: Bulgogi, Spicy Bulgogi, Kimchi, Fish-Soy Base, and Magic Sauce, which, according to the company’s site, is the sauce that started it all. Roy isn’t involved in the project at all, but he did send out a tweet of support. There also seems to be some good natured family rivalry/low-key gentle chastising going on on Mommy Sauce official site: “My son is so famous I asked him to sell this sauce in his business but he never did anything because he said it’s not his sauce, so I had to go out and sell my own sauce because he never listens,” Mommy Choi, she officially calls herself in her cooking videos, says. Papi Chulo responds, “You should know I did try to help her but she took it as an insult. Whatever I did was never enough. It doesn’t matter now… But here’s the thing. This sauce is amazing. So amazing I told her she had to name it ‘Mommy Sauce. '” Moms, man. No matter what you do, it’s never enough. The sauces are available for purchase online for $5.88 a bottle, or $25 for the all-inclusive starter pack. 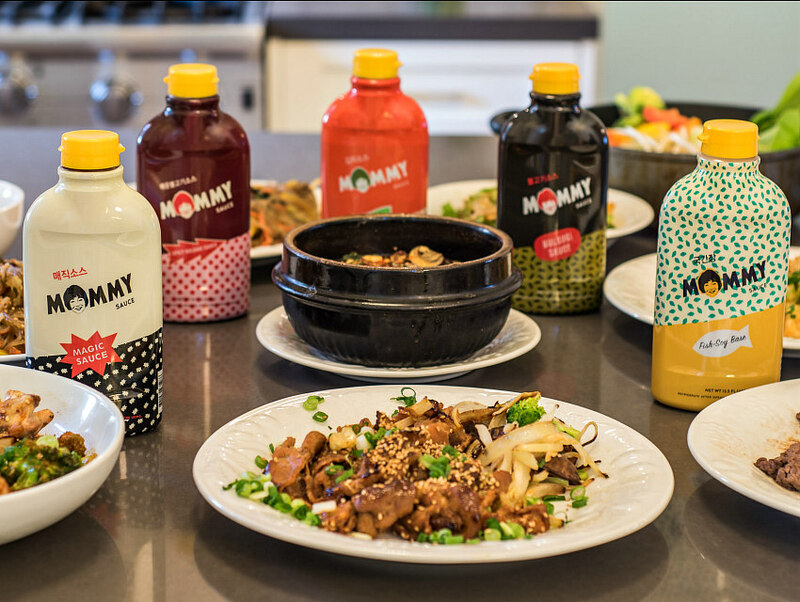 You can also find Mommy Sauce on shelves at a few local retailers like the Koreatown Plaza Market and S-Mart. Roy, you have to jump on board. Mommy Choi’s about to build an empire.